A post-secondary education is a requirement for finding professional work in most fields, which means attendance at a college or university is not optional for many Canadians. When this fact is combined with skyrocketing tuition fees, the result is often severe financial hardship. As of 2018, Canadians owed over $28 billion in student loan debt to all levels of government. This is a moral, political, and economic crisis. Lifelong student loan debt leaves many graduates students in a state of constant financial struggle for years. 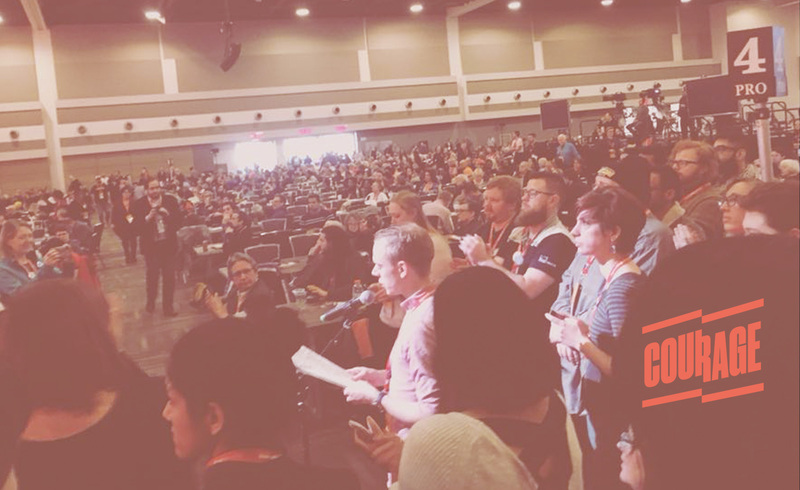 At their February 2018 Convention, NDP members voted unanimously in support of a resolution to eliminate tuition fees. The Federal Party could not have a stronger democratic mandate to campaign on tuition-free post-secondary education. Education is a cornerstone of our society. It is necessary for full participation in the economic, cultural and democratic institutions. It is a right. An education should not leave graduates burdened with debt. We need the Federal NDP’s leadership in ensuring that everyone has access to a high quality post-secondary education. Hundreds of delegates voted for the Federal NDP to pursue free tuition. Political will is abundant. Ways to achieve free tuition while preserving provincial mandates can be found. That is why we are calling on Federal NDP leader Jagmeet Singh to keep his promises and respect his clear mandate from NDP members by taking bold action to uphold the right to education. In accordance with the party’s policy book and our leader’s promises, we demand that the Federal NDP’s fall platform include tuition free post-secondary education, and the elimination of student debt through 0% interest rates and the creation of debt relief and forgiveness programs.